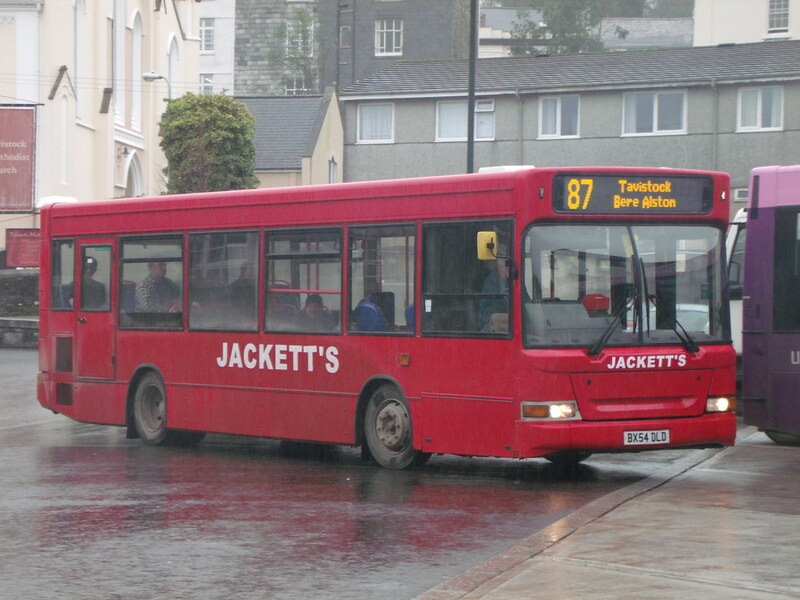 Following a period of unsatisfactory operation, Devon County Council have terminated the contract with Jackett’s Coaches for Services 87/87A, Tavistock to Bere Alston & Bere Ferrers. The termination takes effect after operation on Saturday 30th January 2016. Devon County Council have made an emergency arrangement with Stagecoach to take over the same Service 87/87A route and timetable with effect from Monday 1st February. As I type this there are no details on Stagecoach web site and no mention of the servuice on Jacketts web site or Facebook page. The timetable they did have has been removed! Usually only available to our membership we have a small excess of this years calendar which we are offering to enthusiasts at £4.25 with free p&p within the city boundary or at cost if outside. If anyone is interested if they provide their details info@plymouthcitytransport.co.uk we will arrange payment and delivery. Does not surprise me at all. didn't they get the chop from the 52 in Plymouth ? The service they provide is terrible. TheY should not be allowed to bid again until they can sort this out. I wonder what buses Stagecoach will use on this as, so far as I know, the only single-decker they have got in Tavistock is the Solo for the 89 town service. I also wonder if this contract will be of interest to Citybus when it is put out for tender again. I suspect the problem with Jacketts has been too many breakdowns. A Dart is being used by Stagecoach as the emergency arrangement requires a minimum of 31 seats due to entitled scholars. This means a standard 38 seat Pointer Dart being used. Jackett's downfall was caused by their inability to comply with various aspects of the contract over a long period of time. Jackett's biggest problem is lack of finance holding them back and one can't see that situation improving.The long term state of the 05 plate Dart normally used on Plymouth supported service 13 leaves alot to be desired as well. I daresay Citybus would be interested in the tender for Bere Alston as they already have services from Tavistock to Okehampton and Callington. 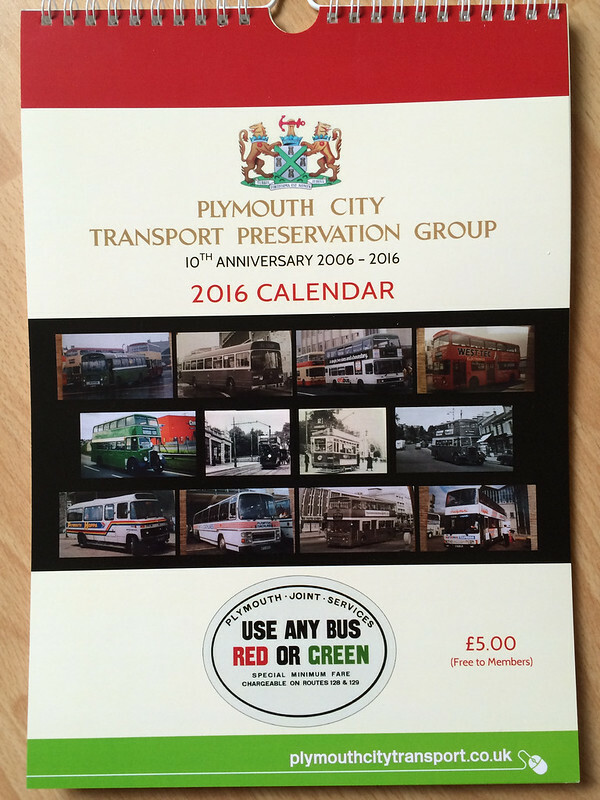 So why does the Plymouth City Transport Group calendar have a photo of a preserved half-cab that isn't even one of theirs? The timetable for Jacketts 283 on Traveline differs from that on Jackett's website. On Traveline two days a week, the 283 now serves Doddycross and Bethany -- I don't recall this being mentioned on Cornwall Transit. Which is the correct version? Its hard to get any information! There was a change of route & timetable registered from 10th January but this has never appeared on Traveline. The timetable on Jacketts site is probably correct (but unhelpfully its undated). Cornwall County Council are even more unhelpful in that they just direct you to Traveline. I did post the VOSA notice back on Cornwall Transit 027 (http://www.plymothiantransit.com/2016/01/cornwall-transit-027.html) but information then was even less than it is now. The correct 283 timetable is on Traveline. The service has changed from six days a week from Blunts/Quethiock to three days each from the aforementioned and St Germans through Doddycross to rejoin the route at Menheniot. Budges Shop, Betany and Doddycross. Traveline was updated a couple of days ago, 3 weeks after the change. Jacketts, who actually operate the service, are still showing the wrong details (though they have taken the 87 off their site). Can anyone tell me what was the original identity of the Plaxton Paramount 3500-bodied Volvo B10M that carried the registration JSK 263 in the 1990s? I have a pic, but have never pinned down that identity. Jackett's are a ticking timebomb, it's only a matter of time before they have their services taken off them as their vehicles are barely roadworthy! It needs someone to invest in it! Any takers?